These two dishes can be eaten together in an Indian flour wrap or chapati. Best served with a spicy coriander and tomato chutney and/or some Indian pickles. 1. Heat oil in a cooking pan and fry onion until lightly browned. Add in curry leaves and fry for 1-2 minutes. 2. Add chopped tomatoes. Cover and cook until simmering gently and a thin film of oil is visible on the surface. 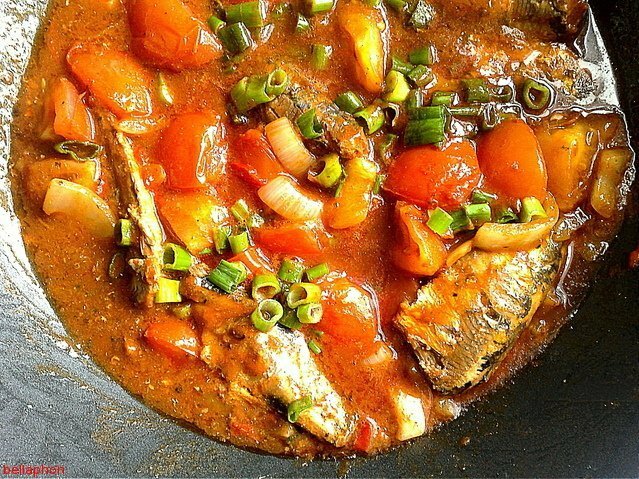 Stir in curry powder and sugar and cook for another 1-2 minutes. 3. Remove pilchard spine by gently cutting each fish in half along the sides and lifting spine off the flesh. Ensure no bones remain. Break into medium chunks and add to pan. Cover and cook for about 5-10 minutes. 5. Sprinkle chopped green chilli and spring onions on top. 1. Heat oil in a cooking pan and fry onion until lightly browned. 2. Add mustard seeds, curry leaves, and chillies. Fry for 1-2 minutes. 3. Add pumpkin and cook for 5-10 minutes, stirring gently to avoid burning. 4. Add in just enough water to cover mixture. Cover pan and allow to cook on a medium heat. Stir occasionally. 5. 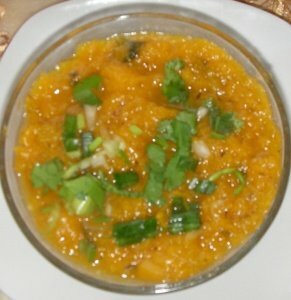 Once pumpkin has softened and water is almost evaporated (about 10-15 minutes), take pan off cooker and mash pumpkin. 6. Sprinkle chopped coriander on top. Soul is an outcast of both immortal societies. Born of a Bastian mother and a Crovir father, a half breed whose very existence is abhorred by the two races, he spends the first three hundred and fifty years of his life being chased and killed by the Hunters. One fall night in Boston, the Hunt starts again, resulting in Soul’s fifteenth death and triggering a chain of events that sends him on the run with Reid Hasley, a former US Marine and his human business partner of ten years. When a lead takes them to Washington DC and a biotechnology company with affiliations to the Crovirs, they cross the Atlantic to Europe, on the trail of a French scientist whose research seems intrinsically linked to the reason why the Hunters are after Soul again. 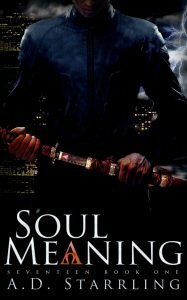 From Paris to Prague, their search for answers will lead them deep into the immortal societies and bring them face to face with someone from Soul’s past. Shocking secrets are uncovered and fresh allies come to the fore as they attempt to put a stop to a new and terrifying threat to both immortals and humans. Time is running out for Soul. Can he get to the truth before his seventeenth death, protect the ones he loves and prevent another immortal war? D. Starrling was born on the small island nation of Mauritius in the Indian Ocean and came to the UK at the age of twenty to study medicine. After five years of hard graft earning her MD and another five years working all of God’s hours as a Pediatrician, she decided it was time for a change and returned to her first love, writing. She lives in Warwickshire in the West Midlands, where she is busy writing the next installment in the series. She still practices medicine. AD Starrling is her pen name.